Sundance Marine will present a line up of leading international powerboats at the 2018 Sydney Boat Show, including boats from the internationally renowned luxury brands Monte Carlo Yachts, Prestige and the Italian Invictus range. Visit us at stand M101-106, Cockle Bay Marina. Follow our Facebook event page for the latest updates from the show. With the Monte Carlo Yachts 65 and 76 lining up side by side, the bespoke semi custom nature of owning a Monte Carlo Yacht becomes evident. Having recently revealed the secrets behind their award winning manufacturing process, Monte Carlo Yachts are able to increase the structural qualities of their yachts with this process. In addition it allows them to personalize the smallest design and décor elements to meet customers desires. This unique ability to customize a 65 – 105 ‘ Motor Yacht has previously been only the domain of larger vessels. Owners closely work with the shipyard to select the luxurious finishes and soft furnishings used throughout – a close collaboration delivering a personalized finish where no two boats are the same. Monte Carlo Yachts prides itself on this state of the art construction technology and artisan skills in the internal fit out, it all combines to deliver comfort and spectacular seaworthy performance. 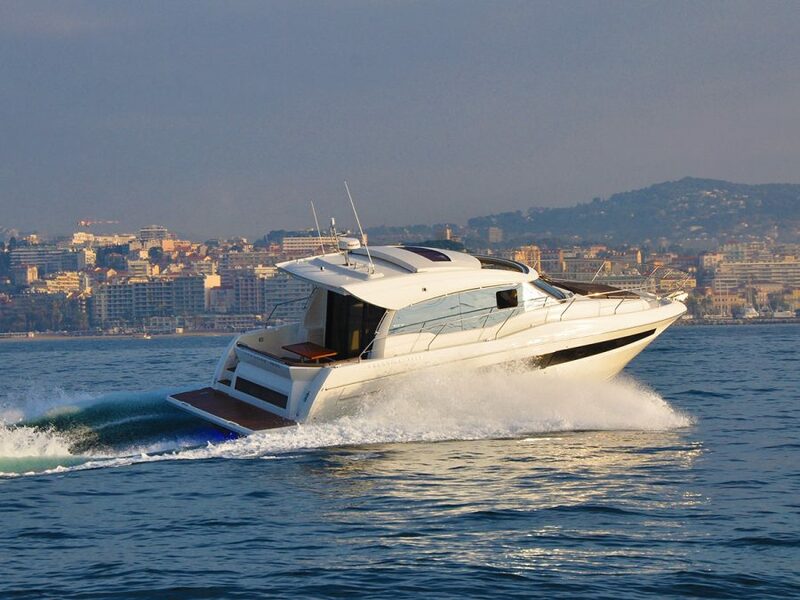 To see the full Monte Carlo Yachts range, click here. Appointed exclusive Prestige dealers for Australia in 2018, Sundance Marine will premier Australia’s first Prestige 460S in Australia in Sydney. This most recent model delivers a sporty sedan design that is adaptable to suit your needs – it presents exceptional comfort for spending time on-board. Ideal for local exploration and nights away, an impressive full beam master ensures luxury and practicality. Twin double cabins with en-suites, the spacious forward VIP cabin is convertible offering flexibility for guests. A convenient L-shaped galley offers easy access to a large entertaining space when opened up or a more protected living space when closed. Prestige has successfully offered a range of sedan and flybridge models from 42 – 75 feet since the brands creation in 1989. Designs without pretense, the use of fine materials in light open spaces are ideal for the way we enjoy boating in Australia. To see the full Prestige range, click here. After a successful launch of the Invictus last year at Sydney, Sundance will expand the range on display. 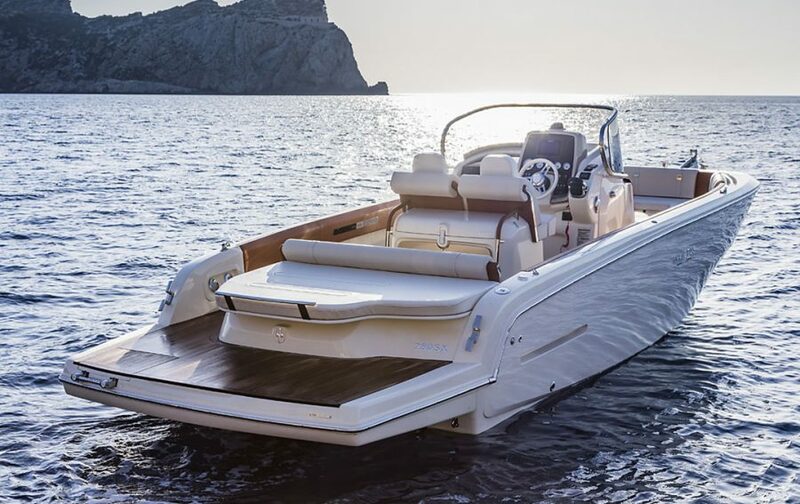 Made for pure enjoyment on the water, these stylish day-boats bring European design flair but above all, are boats built for real use with a price tag starting around $99,000. Their performance is proven and with layouts that are comfortable and sea worthy, summer days have never been more memorable. Invictus is for those looking for a distinctive and unique vessel to enjoy with family and friends. Their exceptional Italian design and finish combines with an impressive on-water performance and make for unforgettable days on the waterways such as Sydney Harbour. Used as day boats or as luxury tenders, they’re the perfect for outside waterfront properties. 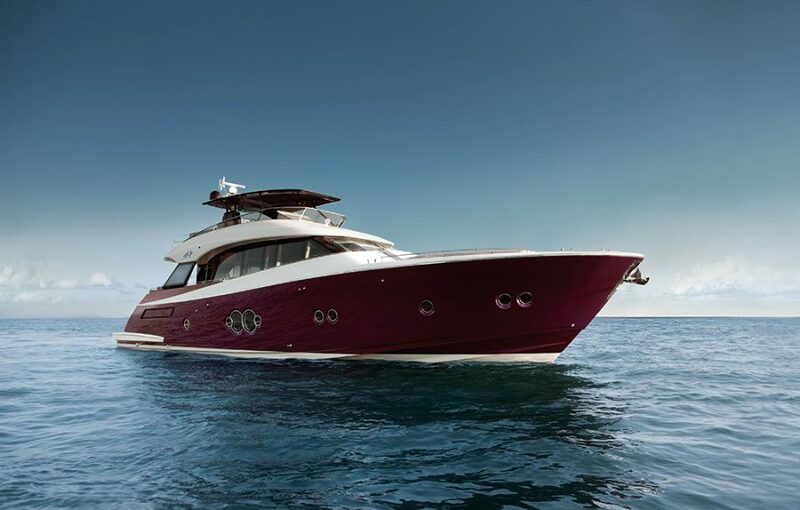 Features such as customizable bow areas, below deck space and innovative fenders are just some of the examples of Invictus taking the category to new places. To see the full Invictus Yachts range, click here.